I'd like to point out, that I eat fast food alone in my car, and I'm NOT insecure. If you don't understand it, don't judge it. 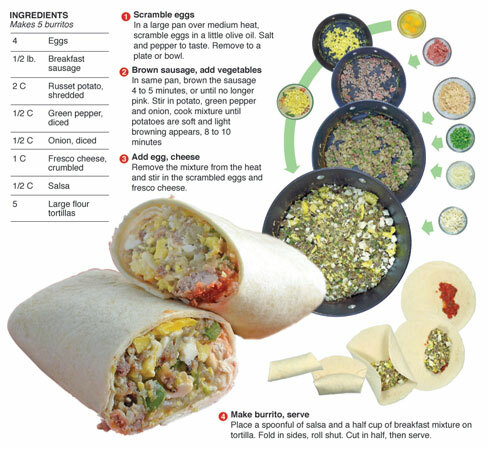 I make my breakfast burritos in almost the opposite order: I saute all of the veggies/meats, then pour the eggs on top, scramble it all together, then top with shredded cheese. 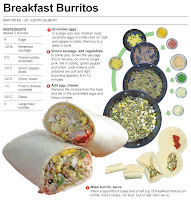 Sort of like a badly made omelet of sorts. 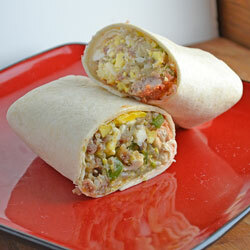 Everything stays together well, making it easier to roll into a tortilla.